So now that I’ve stopped working like a mad-woman buried under piles of documents, I can get back to the really important stuff…like blogging! So something interesting happened this week. My boss (the tiny but feisty female chemical engineer-I need to interview her for Engineer-Chic asap) got back from Greece and we had a nice long chat about my future! This is something that had been causing me mild distress recently, so I was happy to finally talk about it. Did you know there were so many different professional options you could follow as a young, grad engineer? Firstly, there is the obvious option of a masters program. This can be done later on in life and usually takes two years, full-time, but in this economy, many of my ex-classmates went straight into masters programs. Obviously if it is fully funded, and you know exactly what field you want to specialize in, then why wait? But if not, I don’t think there is any harm in waiting a few years, getting some industry experience and figuring it out. Also, importantly, you can use that time to get professionally registered! What is professional registration? Ever heard of a disciplined engineer or responsible engineer? Well, every country has their own unique set of laws/ professional associations/ requirements for you to register as a professional engineer, but basically what it means is that you will be able to take responsibility for certain things such as designs, changes or decisions you make for the company you work for. Cool huh? So whats the difference? Well I’ll forgive you for not knowing, I wasn’t exactly sure myself until this week! You get a GCC by taking a test. Once you’ve worked 2 years in the field (and by ‘the field’ I mean either a mine/ plant environment or a factory) you are eligible to sit the GCC exam. You have to study for it and apparently it can be quite tough. If you are a ‘ticketed engineer’ (have passed the GCC exam) you can take responsibility for major decisions that happen at the operation you manage, and your pay skyrockets of course. The downside is of course, if you’ve signed off on something that fails and injures someone, you can be held accountable! The PR Eng option is slightly different. There is no exam, but at the end of a three-year training period after graduation, you have to submit a report proving that you’ve met certain objectives. These objectives must have been met through the work you have done over that training period. This means you and your mentor could structure the projects you work on to ensure that each one covers a different area and meets a different objective. At the end of three years, you put all those projects together in a report and submit it. If accepted, you will be recognised as a true professional in the field. For example, as a mechanical engineer, I would be able to design systems and components and sign them off myself! This still carries the risks of accountability if something goes wrong, and the benefits of the pay increase…of course! Any professional engineers or ticketed engineers out there who would like to share their experiences? I’d love to hear it! In general what you described applies to anyone and everyone. Health and safety are typically protected by regulations and codes of practice the implementation of which involves a great many people. Otherwise simply have an issue of quality, performance and contract requirements. The most fundamental law is that business provide goods and services which are fit-for-purpose. However once a product is released to the market or the environment, end-users will use for purposes well beyond the intents of the designer. Referring to your awakening page: engineering design is not neat and predictable. It is based on risk and uncertainty, maximising benefits from available but otherwise limited resources, and at very foundation assumptions and subjective judgement. When a system fails, in a coroners inquiry: need to determine if end-users made appropriate selection, whether they were misled into believing it was suitable for their purpose, whether it complies with community standards of quality and performance, or whether there are issues beyond the codes of practice, that a competent person exercising adequate duty of care should have been aware about. In short they do not care what professional group belong to, nor what regulations permit, but what should have been reasonably expected. Engineers of old, mostly operated at the frontiers of science and technology. Now largely operating with parametric variations of generic technologies well within the body of established scientific knowledge. Society is thus not accepting of failures it perceives as avoidable. The body of human knowledge however is huge, time however is scarce. So duty of care is either completing the appropriate literature research, seeking guidance from other specialists, or building and testing prototypes. Consequently there are very few regulations that specifically require the services of a legally registered or defined professional engineer. The profession of engineers thus has little to do with the welfare of society: it is more of a personal status issue: getting recognition within the profession, promotion and higher wages. Whilst professional engineers pursuing this recognition within their own elite group, they spend their time complaining of lack of recognition from the public. Less time spent attempting to gain recognition for the achievements for the works of our ancestors, and more time spent actually contributing in the modern world to development of society would improve their status more. 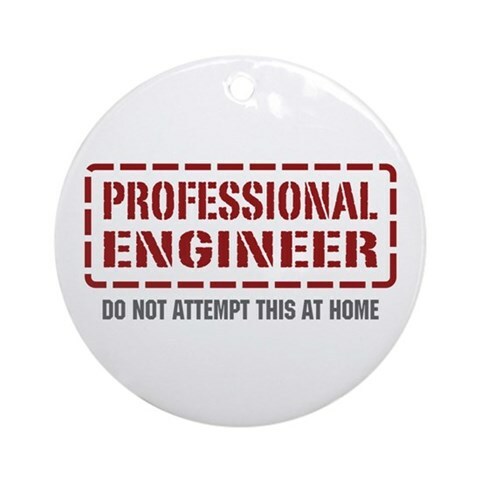 Basically all I am saying is that professional engineer status has little added-value. Its a market driven economy: one person can do, or many people can do. Enterprises and their teams of people generally fair better than the individual: they have more rapid access to the human knowledge base. The leader is the person who can mobilise the talent of the team: irrespective of their own limited technical knowledge. Truth is that modern engineers don't make it happen nor make it so: they are seldom the proactive drivers of technology: they are mostly reactive, assisting others. Thanks for the comment. You make a few interesting points! I do agree with you on the front that no, it is not necessary for an engineer to be registered professionally to practice as an engineer, or for that matter to contribute significantly to society. Further, I see your point that legally the professional codes may not be the ultimate authority for judgement of an engineer's actions. However, they are used by justice systems and thus can not be ignored. Finally, your point on engineering professionals seeking registration purely for the status, I must say that I can not agree with you. Although I am sure there is an element of pride in this, I don't think its correct to assume that there is absolutely no benefit to society for professional registration. Firstly, in my country there is a severe lack of engineers. We have half the amount of engineers we need to develop at the rate our economy is growing. Development of this scale involves major expansion in every industry, including the supporting infrastructure that would go along with it-roads, buildings, housing, services etc. For a developing country such as SA, this economic and infrastructure growth is critical for the improvement in living-standards of every citizen, especially the poor. Whether it be government or private sector expansions, the law requires that all designs be signed off by registered, professional engineers, so I do not see how “professional engineer status has little added-value”. But I do think you meant to critique the trend of engineering institutions to make engineering a true “profession” such as medicine or law, seeking for engineers to enjoy the status and reverence that go with it. Whilst I too don't see this as necessary, I do think that there is a clear distinction between professional registration for career development (to allow you to design) and the “professionlisation” of engineering. I'm a student at UP doing mechanical engineering. I came across your blog via some email about some ASME course. but thats besides the point. I worked at ATE ate-group.com/ and Aerosud aerosud.co.za/ over the past two holidays and was surprised that not many people in the aeronautical field actually have the PR Eng qualification. Thats mainly due to the fact that no one does aeronautical design work in this country which makes me a bit sad since its my passion. Im guessing you work at a mine or something? Thanks for your comment. Yes, I've found that in some industries-including mining, not many engineers have a PR Eng. This is actually because if you are working in engineering design or maintenance, you dont need one! If you are going into design or consulting however, you definitely do. 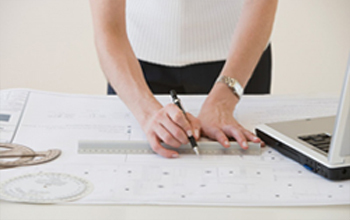 Some may think a PR Eng is just about status, but its actually to certify competency and allow you to sign off on drawings. You're right in that not much development is done in SA, especially not in the Aeronautical field, but recently I've come across quite a few aeronautical engineers (3 in the last 2 months)…maybe the field is growing! Hi, to share some info, the GCC is only applicable to mining/plant/factory Maintenance Engineers. Its focus is purely on the operation, installation and maintenance of machinery. Should one desire to, ECSA accredits GCC Engineers with Pr. Cert. Eng where after 3 years post GCC with 1year legal appointment, a report is submitted for application as such. In my honest opinion, Pr. Eng/Tech has more recognition and design responsibility but the GCC seems to have a much higher pay scale. Should one want to acquire both GCC and Pr. status, I would advise to get the GCC first as the exam is very demanding and it allows one to carry dual Pr accreditation. I began my career in Chemical Engineering this year. I am still not sure exactly what I want to do with my professional life, but actually prefer management above technical…. Will Pr.Eng mean anything to me? What is your take on postgrad studies (in terms of my career path into management). Any suggestions? Chemical engineers are very well-suited to be managers. They have the process and systems thinking skills that are needed to manage operation and complex systems. These skills can also be transferred into the business world. In terms of a PR Eng, you have to determine whether this is valuable to you. Having the professional titles behind your name does add credibility to you as a professional, however a chemical engineer does not carry the same responsibility as a mechanical and structural engineer might – i.e. signing off drawings and designs. In terms of engineering management masters – a friend of mine has done one at Duke recently and it proved really worthwhile for her! And what a great experience! In terms of general management, you may want to consider an MBA. I know several chemical engineers working in mining who have done this – they have also seen major benefits from this. In the end, its up to you. If you are not sure yet, just wait a year or two, work in industry and figure it out! Good luck and keep me posted on what you’re doing with your career!